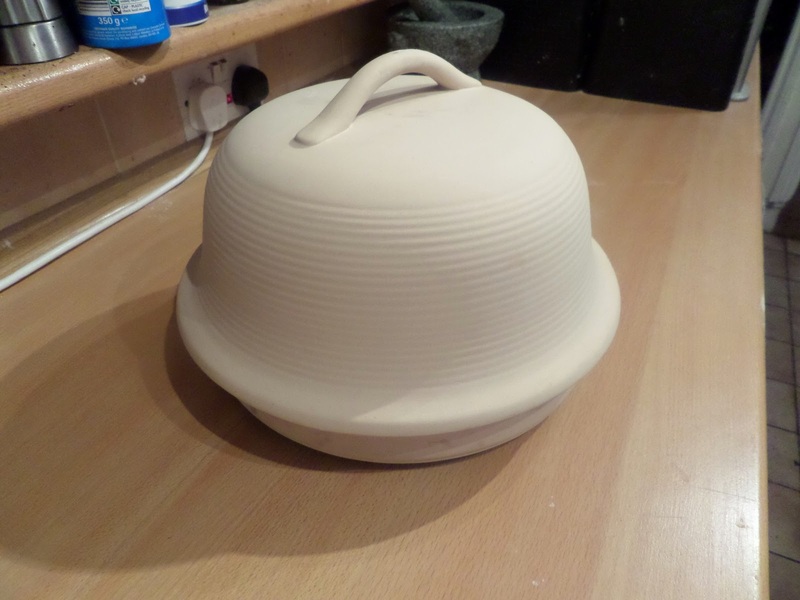 As mentioned in my previous post, I’ve decided to get one of these La Cloches rather than using the Dutch oven / casserole for my sourdough loaves. 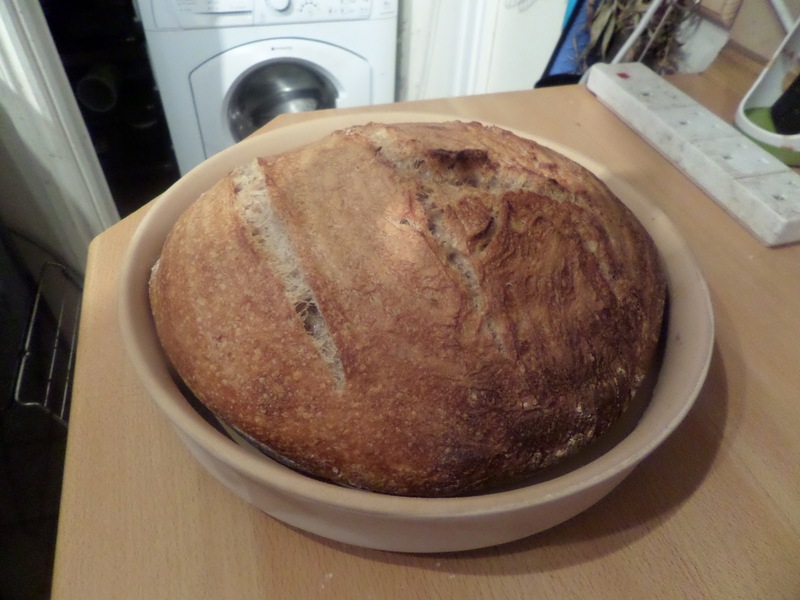 I’m not making any other changes from the last loaf, so I should get a good comparison of how the La Cloche works. So due to the fridge being rather full, the dough went in on top of a row of bottles, and it obviously wasn’t level and came out a little lopsided! 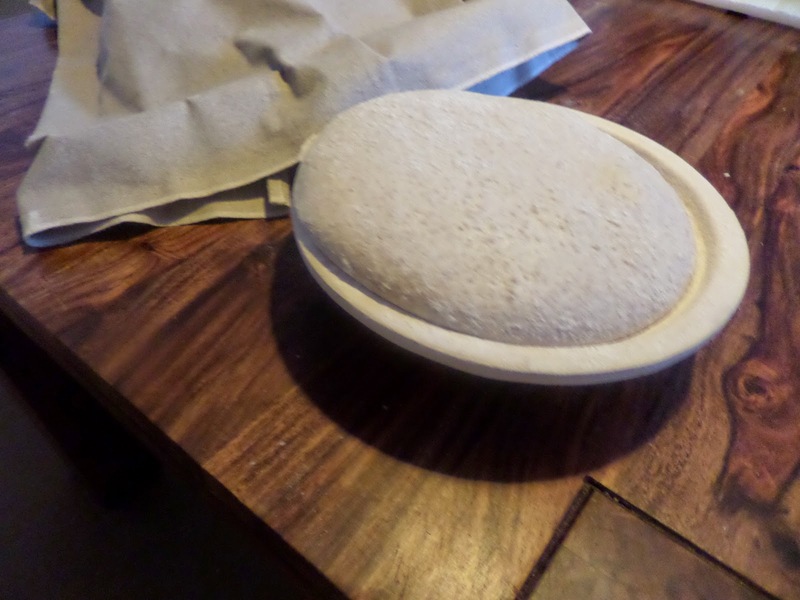 Transferring to La Cloche is much safer than using the casserole, but still moving such a large loaf, even with my huge hands, ended up squishing it a bit. Maybe I should turn it out onto a peel and slide it in? 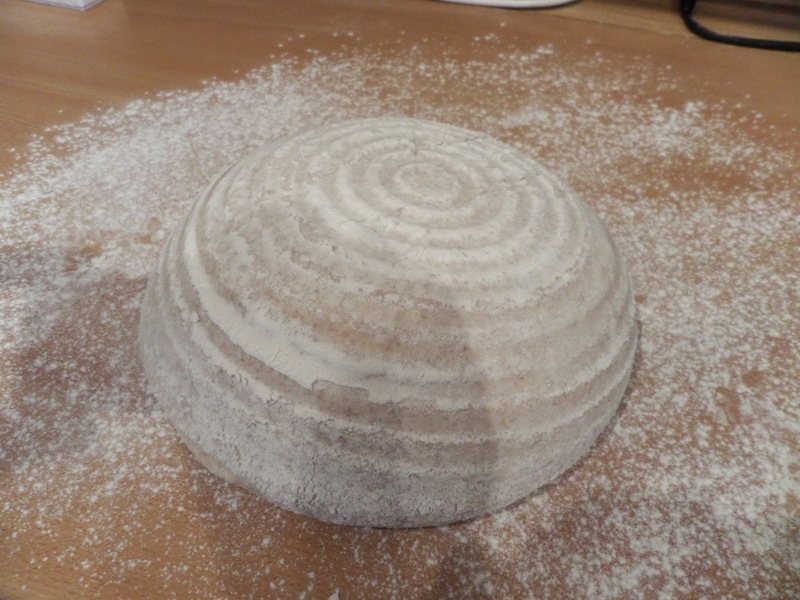 I initially thought I should score it the other way to try and encourage it to expand back to a circle, but there were some pre-existing splits showing so I decided to score in the direction it already wanted to split to try and avoid it splitting in both ways like the previous loaf did. Then I sprayed with water, popped the top on, and it’s into the oven using the same timings as the casserole: 30mins at max heat (230C fan) with the lid on, then down to 200C fan with the fan off for 15mins. 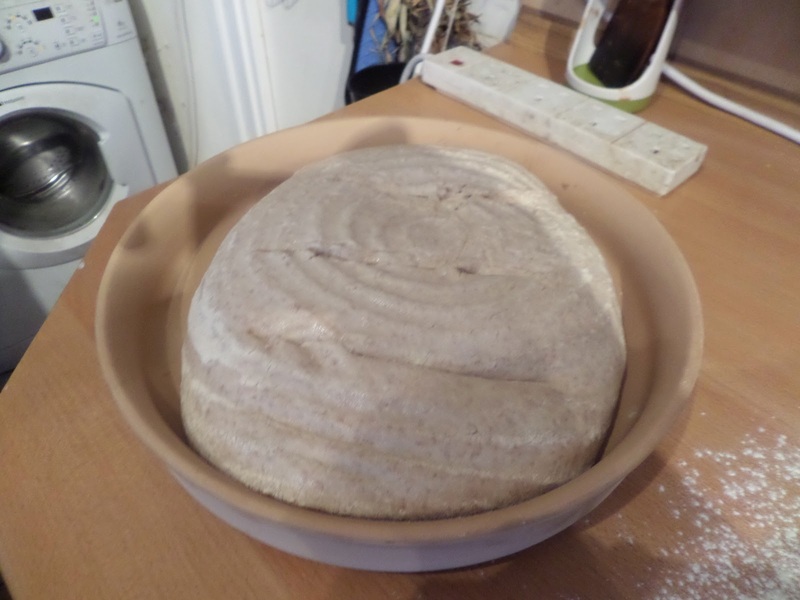 It hasn’t risen as much as when done in the casserole, but I think that’s because the smaller size of the casserole means there’s nowhere but up for the dough to go. However unlike in the casserole the sides have formed a proper crust. 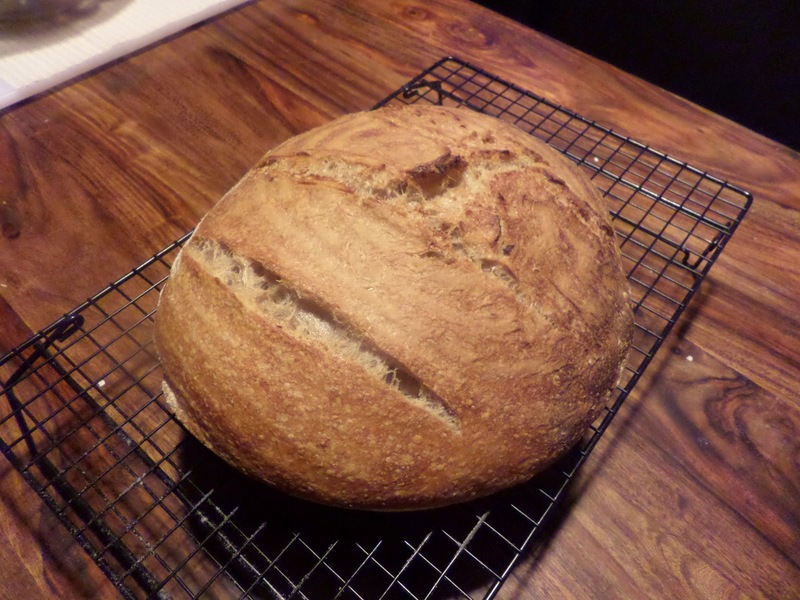 I think I still need to work on my scoring. It still developed its own crack that I didn’t make, plus I don’t think my scores have expanded much, so I think I need to be more confident and score deeper. Also I might spray the lame with oil before scoring so it doesn’t pull at the dough so much. 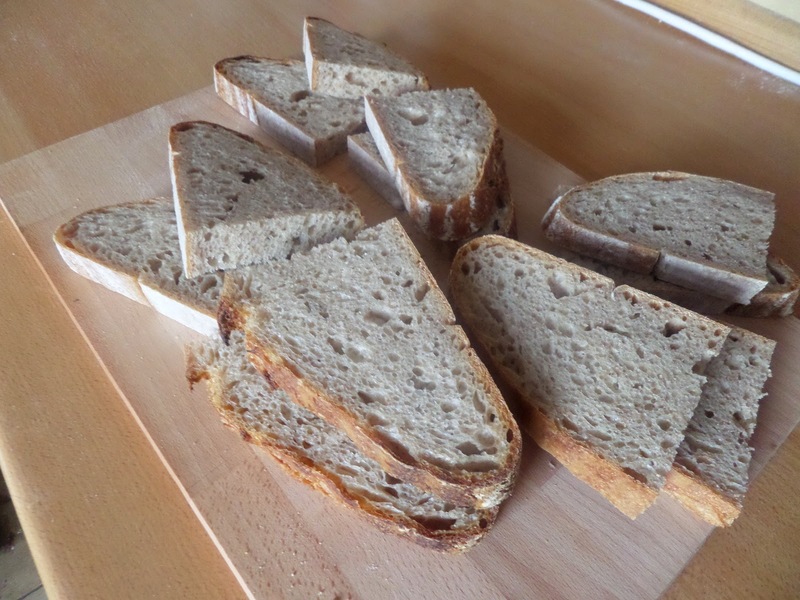 The crumb looks good, with lots of nice large holes. And it makes good sandwiches too! 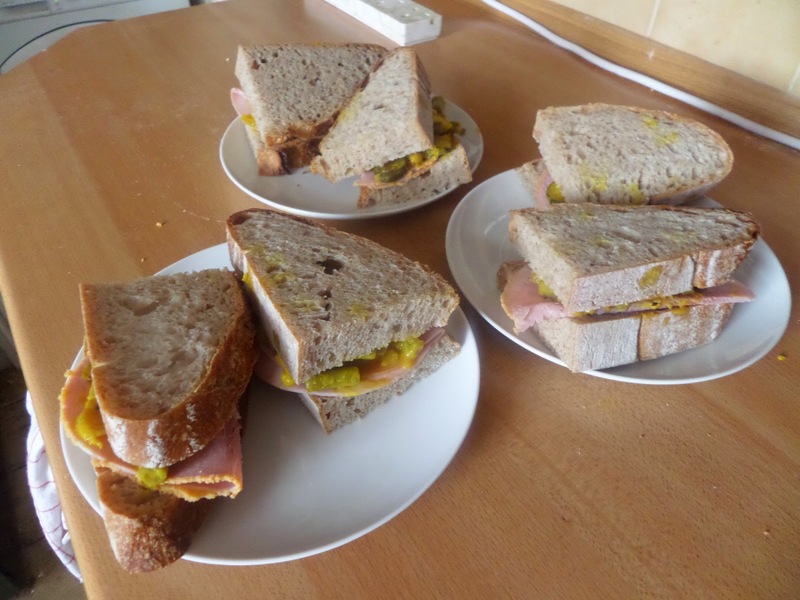 I had just half of one of those sandwiches and it was sufficient for my whole lunch. Highly recommended.